New Rochelle, NY, October 11, 2018– Pulsed electric fields are helping fight cancer, whether by inducing tumor cell death or by stimulating the immune system. 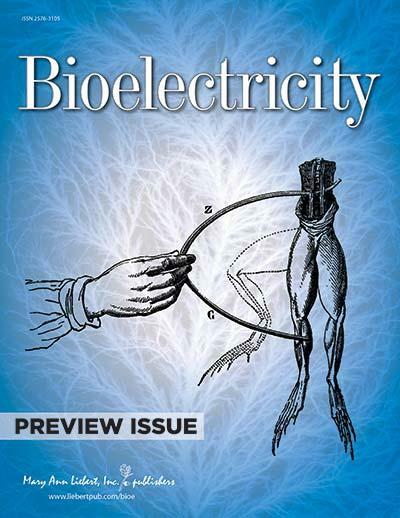 A comprehensive overview of this developing field is published in the preview issue of Bioelectricity, a peer-reviewed journal from Mary Ann Liebert, Inc., publishers. The full-text article is available free on the Bioelectricity website at https://www.liebertpub.com/doi/full/10.1089/bioe.2018.0001. Mary Ann Liebert, Inc., publishers is a privately held, fully integrated media company known for establishing authoritative peer-reviewed journals in many promising areas of science and biomedical research, including Stem Cells and Development, Tissue Engineering, and The CRISPR Journal.Its biotechnology trade magazine, GEN (Genetic Engineering & Biotechnology News), was the first in its field and is today the industry's most widely read publication worldwide. A complete list of the firm's 80 journals, newsmagazines, and books is available on the Mary Ann Liebert, Inc., publishers website.